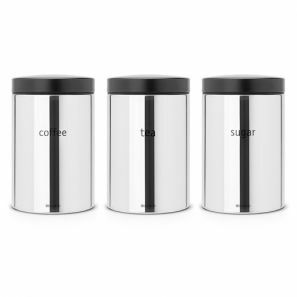 Brabantia products are known for the ease of use and durability but yet fashionably fit into most any kitchen environment, so here is the most stylish way to store coffee, tea, sugar and more? Our 1.4 litre round canister is the perfect solution. The flavour-seal 'click' lid keeps the contents fresh for longer.